When the temperature took a serious ascent the day before my recent Nautica Malibu Triathlon, I knew that my wardrobe choice for the day would be especially important. Clicking through the hangers in my closet, I came upon the SLS3, and initially all I saw was the color: raven black. I immediately shoved it back. No way I could get away with an all-black triathlon suit in heat like that. But a quick look at the tags convinced me to change my mind. The FX’s custom materials weren’t only breathable, they also offered SPF 50 protection and superior compression. This last part didn’t surprise me, SLS3 is known for their high-end compression wear, and they’ve taken this knowledge and expanded it into the apparel arena. Their patented “Coldblack” coating on the outside of the suit actually reflected sunlight as it protects your skin, meaning when I hit the last few miles of the run and the temps soared into the low 90s, my core still felt nice and comfortable. And the white stitching over the black material was flattering, which doesn’t normally matter to me during a race, except in one like this, where I passed various television and movie actors during my race. Nobody wants to feel frumpy when Zack Morris from “Saved By The Bell” is running next to you. Now down to the nitty-gritty: how’s the pad? C’mon ladies, even in a shorter race like the Nautica Malibu Classic, an uncomfortable chamois can be the difference between a great bike ride next to celebrities, and a four-mile run filled with uncomfortable chaffing. The padding in the FX was actually slightly larger than that of some other brands I’ve tried, but it never felt water-logged or overbearing. The quick-dry material in both the suit and the padding were dry within minutes of me exiting the water. One of the biggest problems I’ve seen with one-piece race suits is the tendency for the suit to bunch at the bottom part of the leg. With the SLS3, this wasn’t a problem at all. There weren’t any uncomfortable sticky bands around the leg to hold it in place, just smooth, flatlock seams that stayed in place during the entire race. As for fuel pockets, the SLS3 is definitely straddling the minimalist route. There are two side pockets that fold over instead of zip. You coul easily fit four to six gels in there, but it would be bulky. However, for a sprint to Olympic-distance race, the storage was ideal, and overall I found this suit to be a great choice for even the hottest conditions. 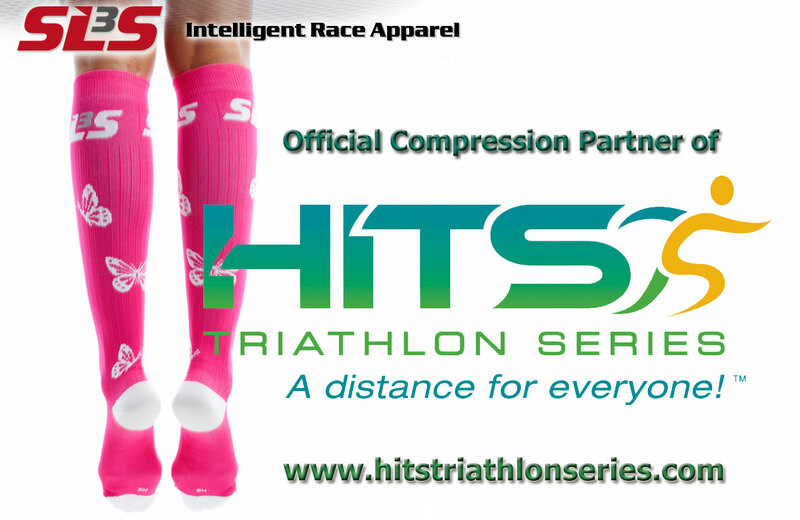 SLS3, a leading high performance sports apparel brand, has signing an agreement as the Official Compression Partner of the HITS Triathlon Series. 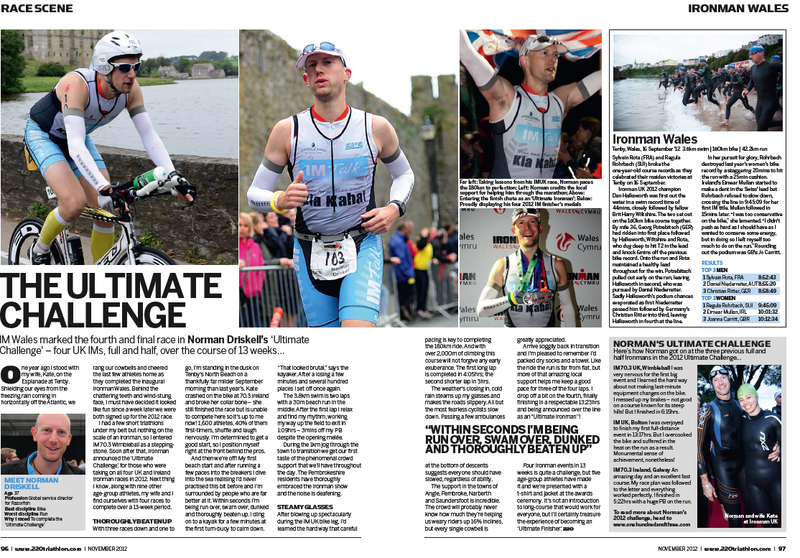 As the existing Compression supplier to world class athletes like Chris McDonald, Petr Vabrousek or Jessica Jacobs an alliance with the HITS Triathlon Series marks a logical next step for SLS3. “We are extremely excited to partner with the HITS Triathlon,” said Sebastian Linke, owner of SLS3. 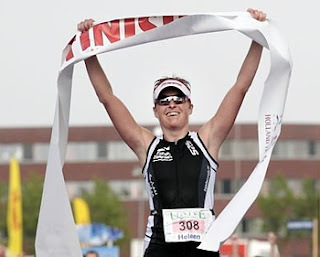 “Our products are designed by medical professionals with more than 15 years of experience in the industry and in understanding the proven gains for endurance athletes, it’s only consequential for us to team up with the HITS Triathlon Series." 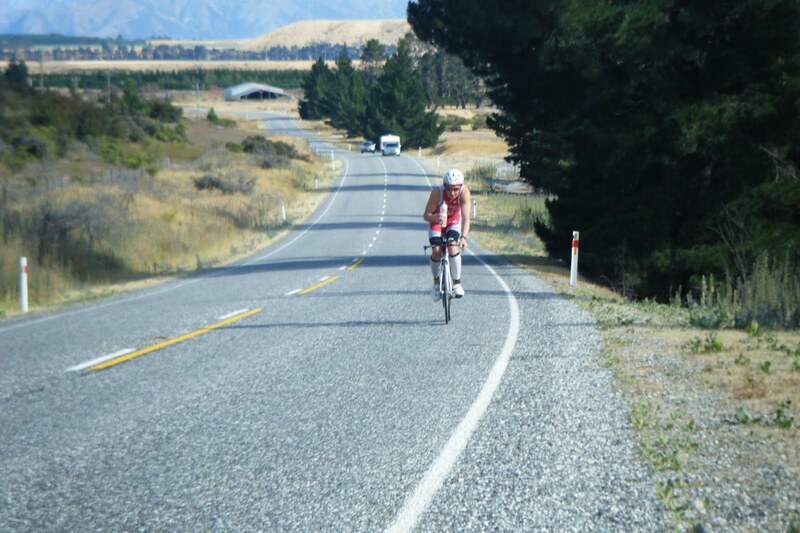 “The quality and technology of the SLS3 products will support our participants in their pursuit of peak performance” said John Eickman, marketing director of the HITS Triathlon Series. SLS3 Compression products have been found to provide benefits to the wearer including improved circulation and a reduction in muscle vibration, a major cause in muscle fatigue. 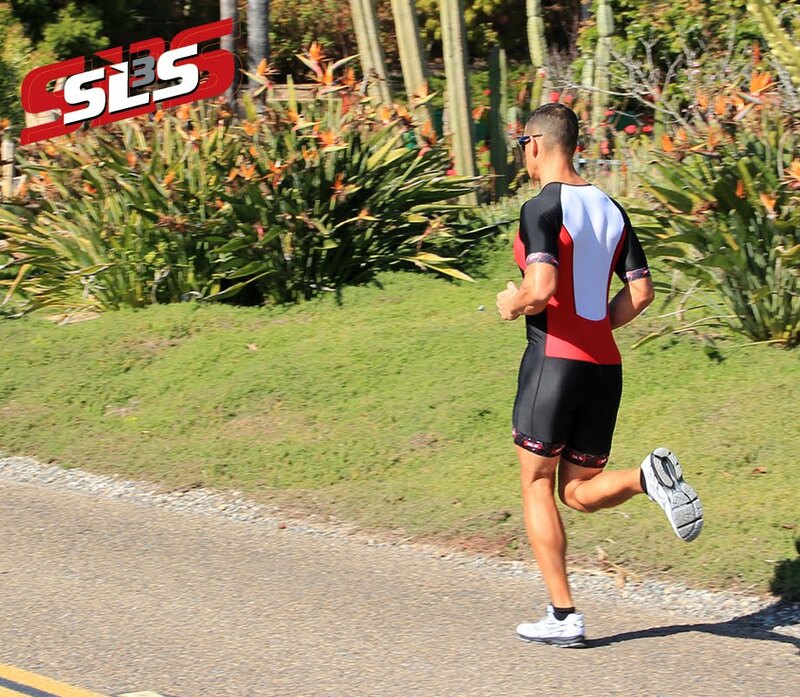 SLS3 is a manufacturer of sport compression and Triathlon race apparel. We design and market high quality compression and triathlon race apparel that meet and exceed the needs of our customers. Our products will enhance performance with emphasis on technical design for comfort. 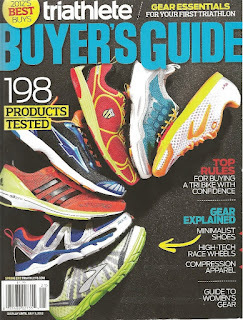 Our goal is to produce the best possible products to serve our customers who are looking for comfort and performance. MADE IN U.S.A. is an important part of our Triathlon apparel line as we have made a commitment to production of our apparel in America. We hire local staff and we purchase our materials from the highest quality vendors available to us. Our mission is to produce an exceptional series of triathlons that delivers a challenging multi-sport experience, courses geared to the needs, level of training, endurance capacity and personal goals of each athlete. 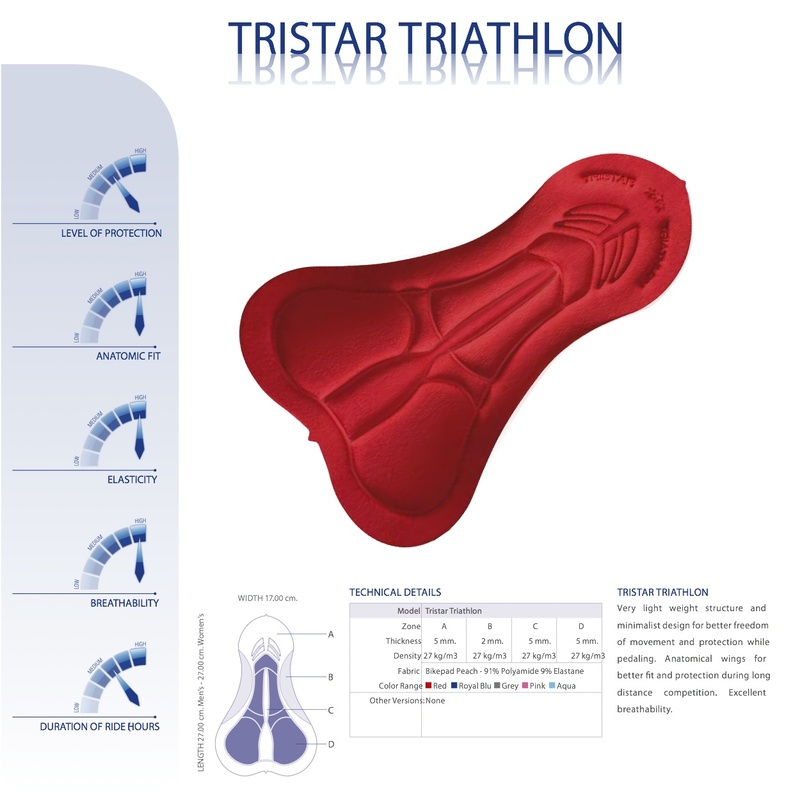 In addition to providing a product for the seasoned athlete, we believe it's also important to introduce the sport of triathlon to those who may have never thought that they could compete in or complete a triathlon. Great article on Anabel Holland in the current issue of 3/GO Triathlon magazine. 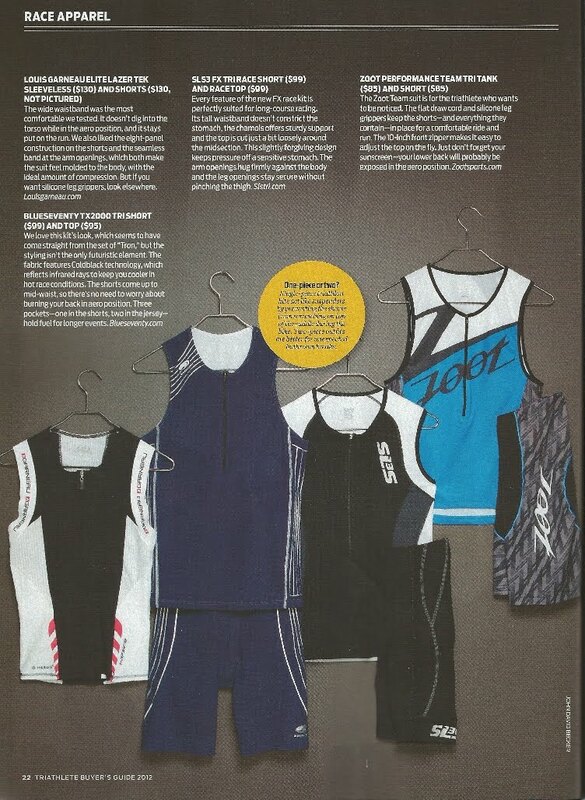 Anabel is wearing the FX Race Triathlon Shorts on page 14. "You are never to old to learn. Even in my 20th Ironman finish I had to learn something. And in this case it took me of the win, I think. A small report of the most beautiful and challenging Ironman in the world. In the weeks before the race I felt that I became stronger and fitter. I was eager to race and mentally I was ready for a very though day in the office. A week before the race we arrived on Lanzarote. Still some time to get used to the heat and wind. It was the first time that I started together with 1600 other athletes here on Lanzarote. The result was that I ended up in a real washing machine. I got smashed everywhere and it was a real battle to survive. But luckily I did and the real race started. On the bike, the feeling from the beginning was really good and I was flying. Thanks of course to my fast bike the Isaac Muon TT. I was focusing all the time and getting my nutrition in as planned. But from here it went wrong. The energy drink from the organization was according to me too much diluted. That meant the energy I had to take in during the bike part was not enough. Besides that, because it was too much diluted the uptake into the blood was too slow. During the bike part I didn’t notice this. I started my run 10 minutes behind the number 1. Normally I’m the better runner and it should have been possible to run more than 10 minutes faster. I tried to find my rhythm in the first few kilometres. But after 5 km, my stomach started to protest. The liquid stayed in my stomach and I heard it with every step. A few times I stopped to try to throw up, but I could not. It was an awful marathon. 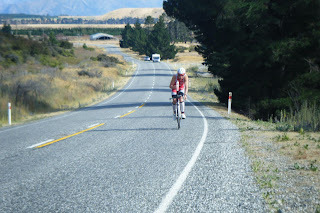 But now I’m glad that I finished and it is another top 3 finish in an Ironman. I'm really sure I can show much better than this, and I definitely will do so later this!" Heleen was wearing her new triathlon suit. This last weekend has been another great weekend for SLS3 athletes Petr Vabrousek and Jessica Jacobs. 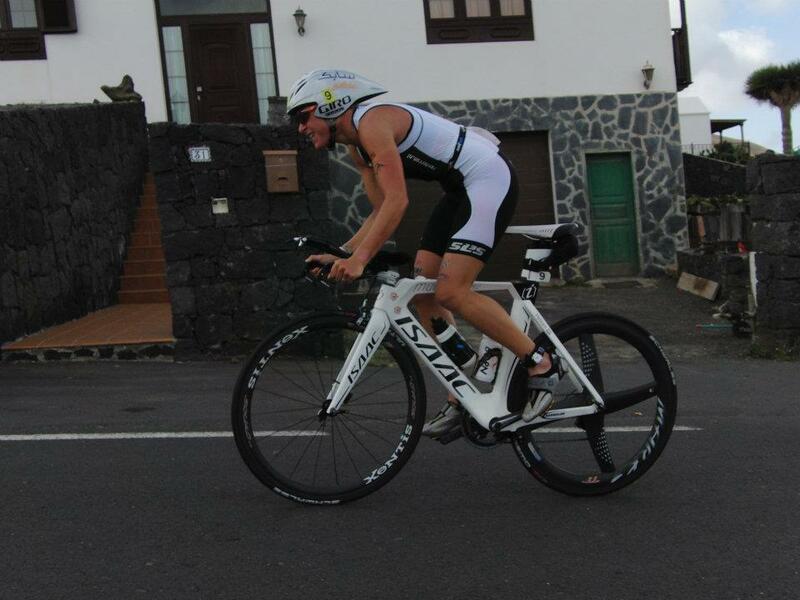 Petr was racing Ironman Lanzarote - one of the hardest IM races in the world, wearing his new triathlon suit. " It wasn´t an easy day today - strong winds on the bike and the heat on the run. But that is OK, Ironman isn´t meant to be an easy affair." 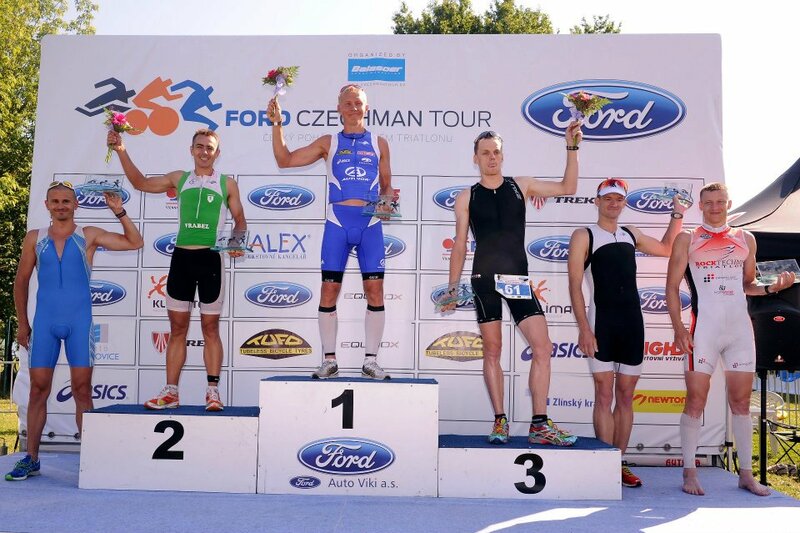 After a good swim and a solid bike Petr finished 6th overall. He is now in 11th place at the Kona Pro Ranking. His next Ironman race will be in Cairns in 2 weeks. 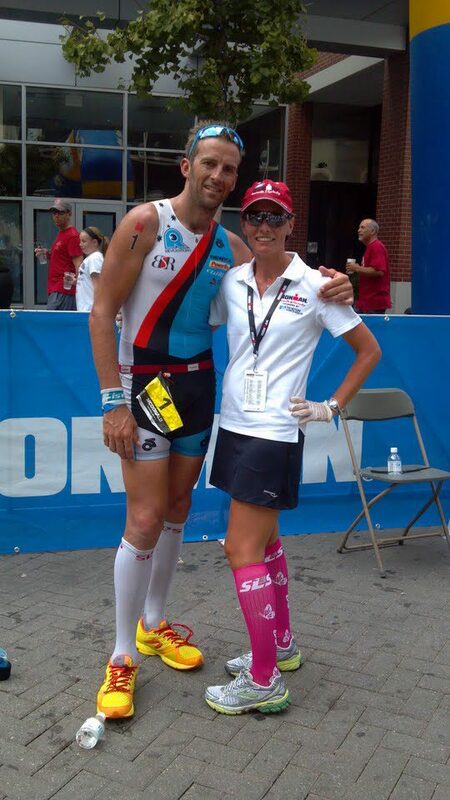 At Ironman 70.3 Jessica Jacobs won her first race of the season. After getting second off the bike Jessica pushed forward to earn the fastest run split of the day and claim her title. We are happy to announce that SLS3 has been featured not only one but twice in the current BUYER`S GUIDE of triathlete magazine. Every year just a small number of companies are being chosen to be featured in this issue and we are honored to be one of them. 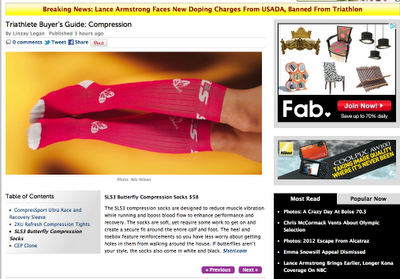 Check out the reviews about the SLS3 FX short and top on page 22 as well as the SLS3 compression socks on page 106.